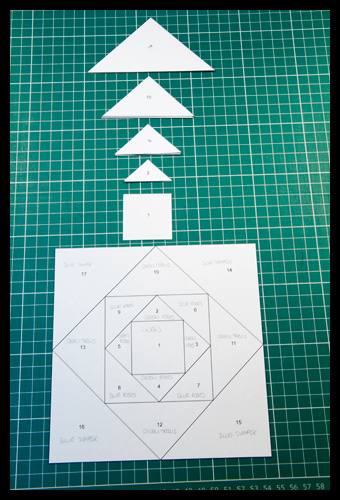 First, head over here and download the pattern. 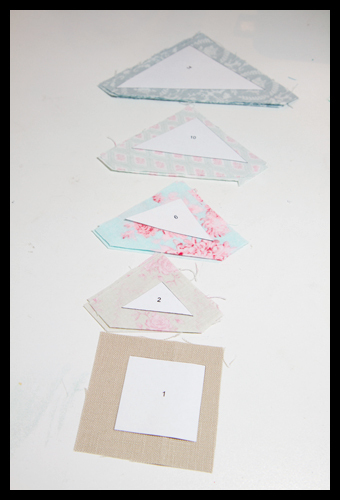 Once cut, I always lay my fabric next to my sewing machine with my template pieces on top like in the photo above. I keep the cutting guides with the fabric to save puzzling over exactly which piece goes where, because often, the more pieces you have, the more relatively similar bits of fabric you’ll end up with – you don’t want to end up being short when you get to your final piece because you grabbed the wrong one earlier! Now take your base piece and fabric piece 1 as in week 1 and hold it up to a light source so that you can see that piece 1 covers the square 1 completely. 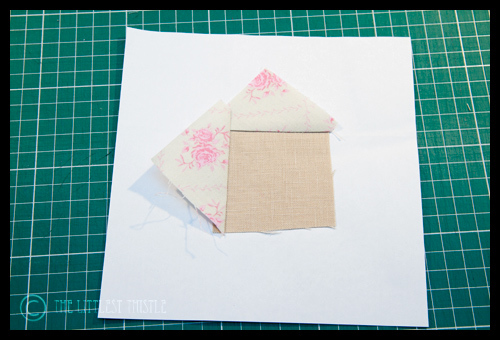 Remember that your fabric and paper should be wrong sides together. 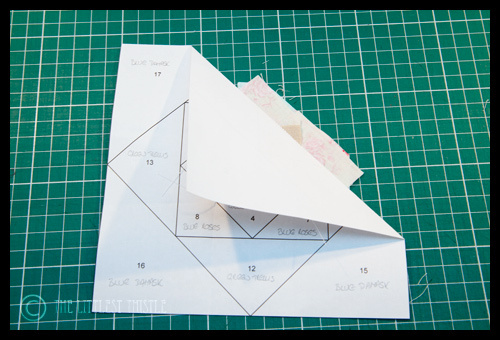 Now take your piece 2 and place it right sides together with piece 1, lining up the long base of your triangle with the edge of your square so that your triangle points are overlapping the edges on both sides, which I hope you can just about see below. 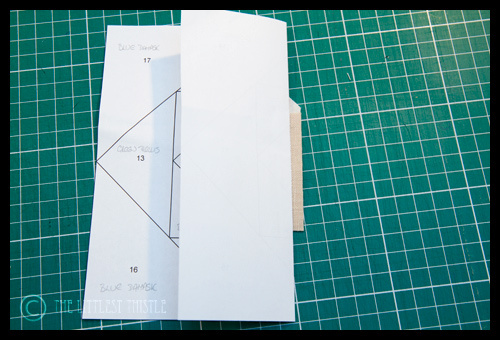 It is much more important with triangles to get the pieces lined up, because with the angles, when the fabric is pressed back after piecing, you could lose your seam allowance for the next piece if you’ve not been accurate. This is one of the reasons why we add 1/2″ for the seam allowance when cutting, to allow for a little wiggle room! Now go over to your machine, and stitch along the line between sections 1 and 2. 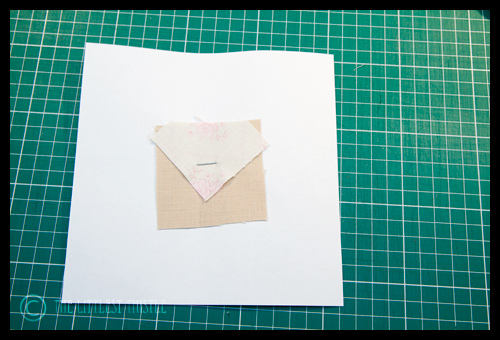 Remember to use a needle for paper, and to shorten your stitch length to between 1.5 and 2 mm. Pin, and stitch in place. This time, when you come to trim, you’ll see just at the top of the seam allowance, that section 2 is just overlapping. Don’t worry about this, and trim as usual. Now we’re going to build on this layer with the next round. 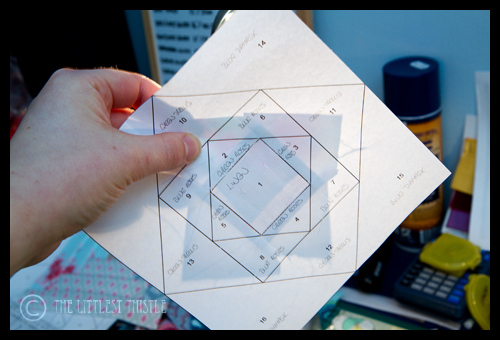 Pick up your fabric for section 6, and hold it up to the light source. 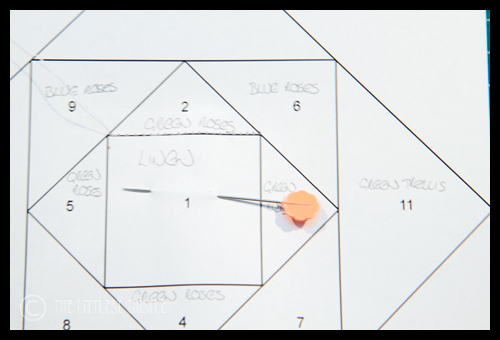 At this point you will notice that your sections 2 and 3 won’t overlap perfectly to give a perfect line up for the bottom of your section 6 triangle, however you should aim to line up parallel with the line drawn on the pattern rather than your existing fabric. good for you for putting this together! 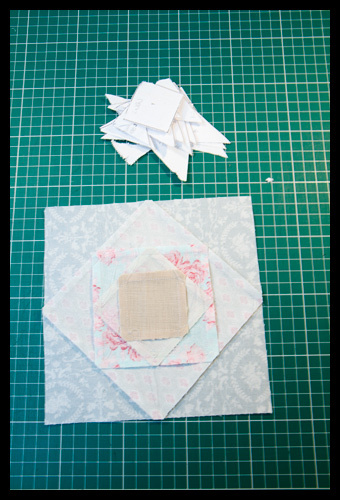 paper-piecing is so tempting, yet so scary. i happen to be going to penny @ sew take a hikes workshop in april and i can't wait to have her show me some of the tricks! i will be pinning this. it's a great resource! 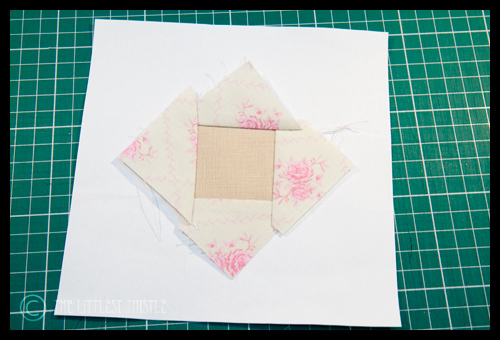 Thank you for the tuts of PP…I have PP before but have never cut out the pieces of the pattern and the fabric before hand. I find this a great tip…. 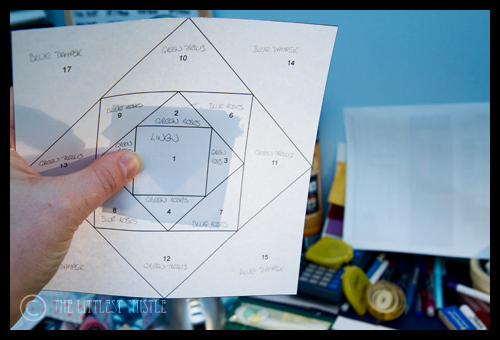 Once your series is done, can you show us how to make some things with these orphan pieces? I'm intrigued. That's my evening sorted then! Templates printed out off to rummage through my scrap bag! 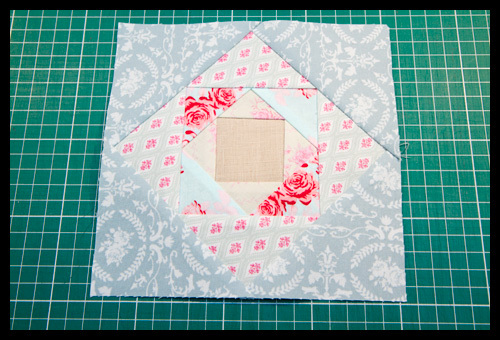 Another great tutorial, you have made it all so easy I have gone and signed up for the NY Beauty QAL, I may live to regret it!! I wish I had time for patchwork as well. I finally made the first block last night. 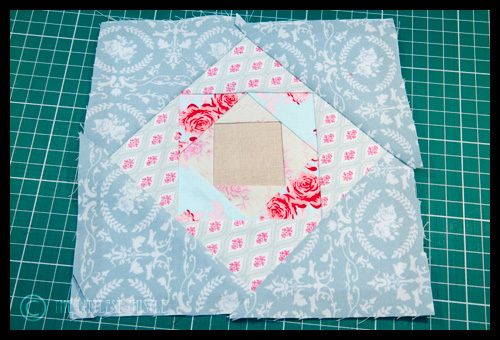 It took me longer to find the fabrics than it did to make the block! 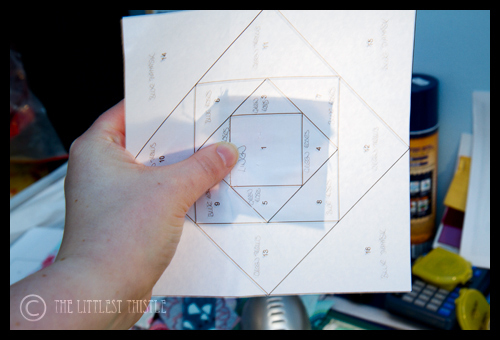 I love the way you cut out the template pieces to cut the correct size for each piece. I hope it doesn't take me as long to decide on fabrics for this one. Thanks for these tutorials, I may not be as terrified as I was. Excellent tutorial!! Oh … and I love the fabrics. 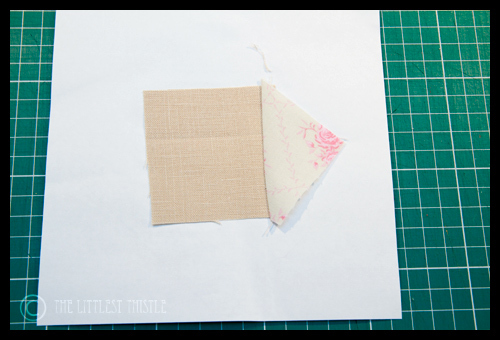 When I learned to paper piece, I was taught to backstitch and the beginning and end of a line of stitching. I think this was so the seam would not pull apart when I pulled the paper off. What do you think? 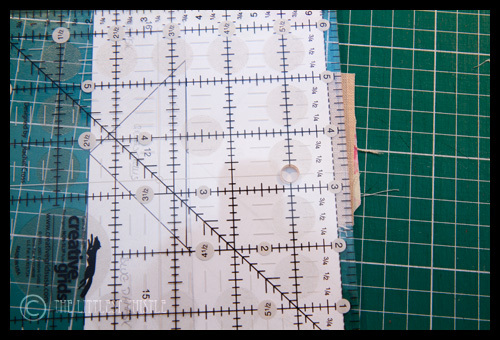 Peacedgoods: I use a very tight stitch of 1.5 and then I do not need to backstitch. 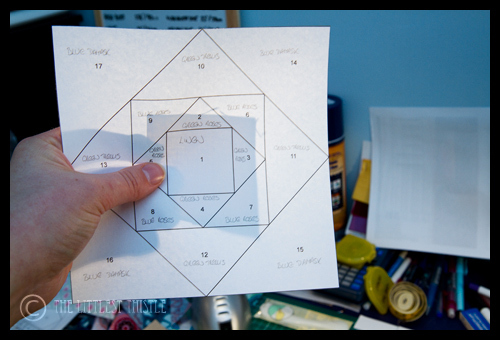 And I love Carol Doak and Foundation Factory paper piecing software. You can create any block in any size. Have you tried them?